Terraced house with independent panoramic terrace located on the hill side of Sferracavallo, a seaside village 15 km from the historic center of Palermo. The village of Sferracavallo shines through the magic and colours of its port; its shoreline belongs to the protected marine area of Capo Gallo and boasts shores with crystalline colours. The more adventurous guests can try their hand at activities such as snorkeling, boat trips to discover the "Grotta dell'Olio" or the "Isola delle Femmine". Those who love relaxing readings under the parasol can take advantage of the comforts offered by the equipped bathing estabilshments. At dusk it is pleasant to enjoy a romantic sunset from the beach of Barcarello. After a few days spent at sea, do not miss a guided tour through the alleys of the historic center of Palermo to admire the artistic and cultural heritage the Sicilian capital is rich in. This modern villa is made from brick or stone and was originally built in 2004 and refurbished in 2018. The agent has rated it as a three star property so it is a well-kept villa, equipped with standard furniture. It is also good value for money. 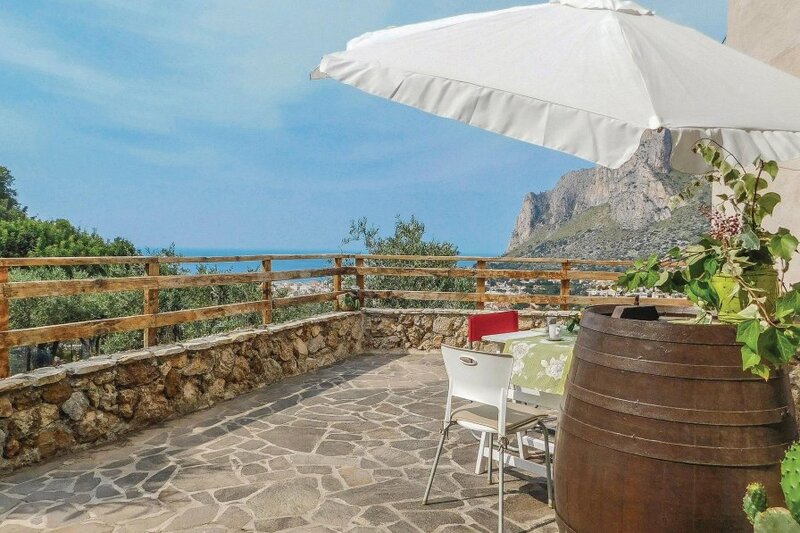 This villa has sea view; it is also only 15km from Palermo. The nearest airport is only 20km away. It is set in a good location, 5km away from a sandy beach. There's also a restaurant 4km away.